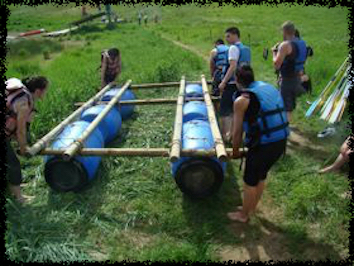 Build a raft: The ultimate team building experience! Building a raft requires organization, communication and teamwork, making it the perfect team building activity. Build a raft as fast as possible with the limited equipment available at. Remember - good coordination between team members is essential if you want to win this challenge!